The Library has about 18,000 non-fiction e-books to serve the educational needs of our students, faculty and community members. We also have a collection of popular e-books and audiobooks available for downloading to your device. There are a variety of e-book collections to choose from. Most of our e-books are also available in our library catalog so you will find both e-books and regular books in your subject of interest via our library catalog. EBSCO E-books, Ebrary, and E-book Central contain a broad range of subject areas. We also have a variety of specialized e-book collections such as Knovel Library for engineering topics, Safari TechBooks for computing and software, and Credo for encyclopedias. Read the descriptions of all of the collections to determine which might serve your needs best. Reaching Across Illinois Libraries (RAILS) is now offering fiction and non-fiction e-books to residents of the State of Illinois on the Biblioboard platform. A variety of great collections are available which you can read on your computer or your portable device. Its important to know what file formats your device can download and read. The majority of newer mobile devices (like Kindle, iPad and Nook) are set up to allow reading of PDF files as well as special e-book formats like ePub. For more information about using your specific device with the C.O.D. Library collection, see "E-book readers and other devices" below. The most common e-book format in the Library is .pdf. If your computer, e-reader or portable device can read .pdf files, then you can download chapters, sections and pages of most the Library's e-book collection. ePub is an industry standard e-book format. In many cases, you'll need to download a small application called "Adobe Digital Editions" (or the Bluefire Reader for Apple devices) to use Library e-books in the ePub format. This software allows you to download ePub books in their entirety and read them offline, manages your check-outs of e-books from the Library, and protects the book from being copied illegally. See below for more information about using ePubs on your portable device. Amazon's Kindle format is proprietary. On your Kindle device, you can download and read .azw materials from Amazon.com. You may be able to use the Overdrive app to check out library material on your kindle depending on the age of your device. Please visit this page to find out more about kindles and Overdrive. The Library does not collect scholarly book material in the Kindle format. You can download and read .PDF files on your Kindle 2nd generation device and the Kindle Fire. See below for more information about Kindle. How do I get started using e-books? Being able to access, download and read electronic books depends largely on what sort of device you have and what file types and additional applications your device uses. All of the C.O.D. Library's e-books can be read on an Internet-enabled device using a web browser. To download books to read offline, make sure your device can read PDF files (most can) and/or download Adobe Digital Editions (or Bluefire Reader for Apple devices) and to check out books from our various collections. If you are using a portable device or e-reader, select your device from the list below to learn more. Adobe Digital Editions is free software that allows you to check out and read ePub format e-books from Libraries. This software manages your checkouts and protects books from being illegally copied. You'll need this software on your computer or on your mobile device to use ePubs. For instance, if you have a Nook, you'll use Adobe Digital Editions on your computer to check out the book from our Library then transfer it to your device using USB. If you have an Apple device, see the information on this page about the Bluefire Reader. If you have a Chromebook, you will not be able to use Adobe Digital Editions but can read books in .pdf format. For more information about reading off-line using a Chromebook, please consult the Google Chromebook help page. Which Library e-books can I download? Most of the Library's e-book collection can be downloaded by chapter, section or page. These books are in PDF format. We have several collections of e-books that can be downloaded in their entirety to read offline, including the Overdrive collection which contains popular books and audiobooks. Go to the device list under "Reading with a Mobile Device" below for more information about using your mobile device. Refer to this list of E-book collections for more information about reading and downloading the Library's e-books. Does the Library have a fiction e-book collection? Yes, we do! Check out the Overdrive Information Page to learn more about this collection. Open your iBooks app and Search the Library free-to-read books. Which e-reader device should I buy? If you would like to talk to a librarian about e-books and e-book readers, feel free to contact Denise Cote at (630) 942-2092 or email at cotede@cod.edu. Why do I need the Bluefire Reader for my Apple Device? Books in the ePub format require a special software called Adobe Digital Editions in order for you to read them on your device. This software lets you read your books, manages your e-book checkouts from the Library and protects the book from being copied illegally. Adobe Digital Editions is not compatible with iPhones, iPads or iPod Touch but the Bluefire Reader is compatible. Bluefire Reader emulates Adobe Digital Editions and performs all of the same functions. You can also manage your e-book and PDF library on your device using Bluefire. Why can't I download from Safari Tech Books? Safari Books Online is a popular collection of technical manuals. The books can be read using a web browser and Internet connection. Unfortunately, the publisher of this collection does not allow downloading. Safari books are best used on a computer or an Android-based device. Much of the e-book content is delivered using Flash, which is not compatible with the iPad. You can access all of the Library's non-fiction educational e-books using a device that is connected to the Internet using a web browser. 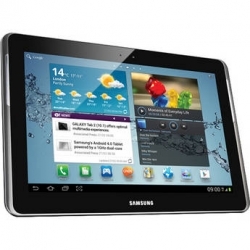 All Internet-enabled devices come with a web browser. Examples of web browsers are Internet Explorer, Firefox, Safari, Chrome and Kindle Silk. Your device might have a button called "Web," "Search" or "Shop." Use this feature to navigate to the COD Library website at http://www.cod.edu/library. Alternatively, you can use your computer to find e-books and transfer downloaded files to your device using USB and your device's management software. You can read all of the educational non-fiction e-books from the C.O.D. Library using your personal computer with an Internet connection and web browser. To download e-book chapters or sections, your computer will need to have a current PDF reader. Books in ePub format will require the free Adobe Digital Editions software to download and view. If you have a mobile device, you can use your personal computer to find and download materials then transfer them to your device using USB. For more information about downloading to a device, choose your device from the list below. Your Android device reads the following formats: ePub and PDF. Most of the C.O.D. Library's e-book collections are available in PDF format. You can use our Overdrive collection with your Android device. Many public libraries also have e-books available for download to your tablet and phone. Please contact your public library for more information. 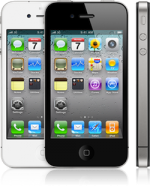 For more help with your device, go to the manufacturer's website for product documentation. Or see the Android website for more information. Your Kindle Fire can read the following e-book file types: Kindle (.azw & .azw1) and PDF. Unfortunately, the Library does not have any materials in Kindle format. But most of the e-books available from our Library are in PDF format. Use your Kindle Silk web browser to find and read C.O. D. Library e-books. You can also use your home computer to download book chapters, sections and pages and transfer them to your Kindle Fire via USB. You can use our Overdrive Collection with your Kindle. Many local public libraries also have Kindle books available for checkout. Please contact your public library for more information. For more information on how to use your Kindle Fire, refer to the User Guide on your device. Advanced help for the Kindle Fire is available on Amazon's Kindle Fire site. Your Kindle 2nd Generation device can read Kindle (.azw and .azw1) and PDF file formats. Unfortunately, the Library does not have e-books in the Kindle format. Most of our e-books are in .pdf format. Your Kindle 2nd Gen device has a built-in .pdf viewer. Download book chapters in .pdf to your Kindle either by dragging-and-dropping them from your computer to your device via USB or send them directly to your device via your Send-to-Kindle address. For more information, refer to Amazon's Kindle Help page. Many local public libraries have Kindle books available for check-out. Please contact your public library for more information. Your Kindle Touch and Kindle 1st Generation device can read only Kindle file formats (.azw and .azw1) Unfortunately, the C.O.D. Library does not have any materials in this format type. Many local public libraries have Kindle books available for check out. Please contact your public library for more information. For help using your Kindle Touch and Kindle 1st Generation device, refer to Amazon's Kindle Help Page. Your iPad device reads the following formats: ePub and PDF. Most of the C.O.D. Library's e-book collections are available in PDF format. Your iBooks app will allow you to read PDFs. If you'd like to highlight and make notes on your PDF files, try using an app like GoodReader from the App Store. You will need to download the free Bluefire Reader app to use books in the ePub format. You can use our Overdrive collection with your Apple device. 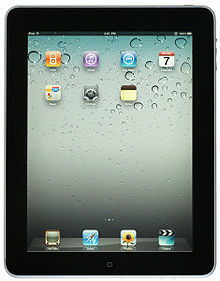 Many public libraries also have e-books available for download to your iPad. Please contact your public library for more information. For more help with your iPad, go to the Apple iPad Support page. 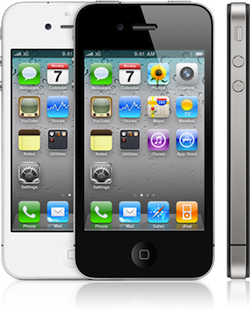 Your first generation iPhone can read the following formats: ePub and PDF. To use PDF's on your 1st Gen iPhone, you'll need to install the iBooks app from the App Store (iTunes). To read ePub format books, install the Bluefire Reader from the App Store. This is dependent on which iOS you are running on your iPhone1. Bluefire Reader is compatible with iOS 3.1 and later. Many public libraries have e-books available for download to your iPhone. Please contact your public library for more information. 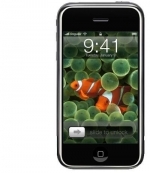 For more help with your iPhone, go to the Apple iPhone Support page. Your iPhone reads the following formats: ePub and PDF. Most of the C.O.D. Library's e-book collections are available in PDF format. You will need to install the Bluefire Reader app to read ePubs from the library on your iPhone. 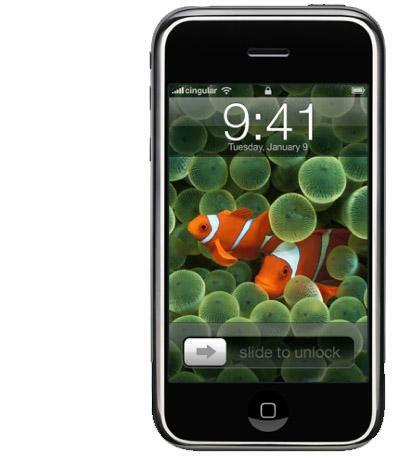 You can use our Overdrive collection with your iPhone. 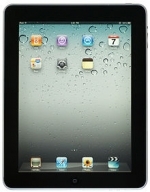 Many public libraries have e-books available for download to your iPhone. Please contact your public library for more information. Your iPod Touch reads the following formats: ePub and PDF. Most of the C.O.D. Library's e-book collections are available in PDF format. You'll use your iBooks app or the Bluefire Reader to read PDF's on your iPod Touch.You will need to install the Bluefire Reader app to read ePubs from the library on your iPod Touch. You can use our Overdrive collection with your iPod Touch. 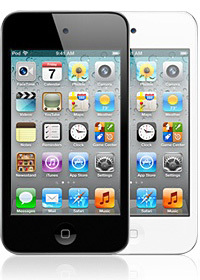 Many public libraries have e-books available for download to your iPod Touch. Please contact your public library for more information. For more help with your iPod Touch, go to the Apple iPod Support page. 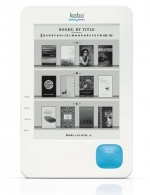 Your Nook Simple Touch device reads the following formats: ePub and PDF. Most of the C.O.D. Library's e-book collections are available in PDF format. You can use your Nook's web browser to read e-books from the Library and to download chapters, sections and pages of e-books in pdf format. You can also use your home computer to download PDF materials and transfer them to your Nook via USB. You can use our Overdrive collection with your Nook. Many public libraries also have e-books available for download to your Nook. Please contact your public library for more information. For more help with your Nook Simple Touch, go to the Barnes and Noble site. 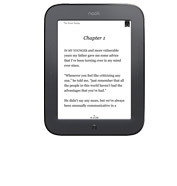 For more help with your Nook Color, go to the Barnes and Noble Support page. Your Nook Tablet device reads the following formats: ePub and PDF. Most of the C.O.D. Library's e-book collections are available in PDF format. You can use your Nook's web browser to read e-books from the Library and to download chapters, sections and pages of e-books in PDF format. You can also use your home computer to download PDF materials and transfer them to your Nook via USB. You can also find Epub books using your personal computer and transfer them to your Nook via USB. For more help with your Nook Tablet, go to the Barnes and Noble Support page. 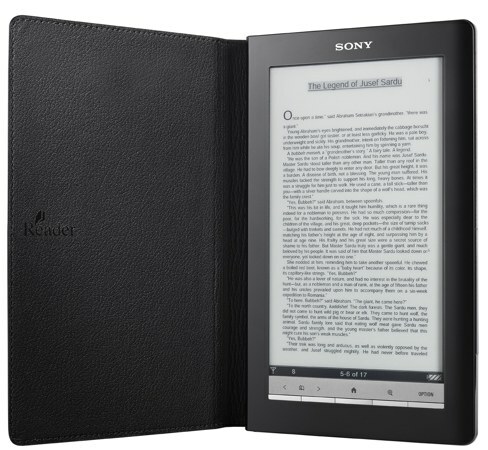 Your Sony Reader device reads the following formats: ePub and PDF. Most of the C.O.D. Library's e-book collections are available in PDF format. You can use your home computer to download PDF materials from the Library's website and transfer them to your Sony Reader via USB. You can use our Overdrive collection with your Sony Reader. Many public libraries also have e-books available for download to your Sony Reader. Please contact your public library for more information. For more help with your Sony Reader, go to the Sony Reader Support page. Your Kobo Reader device reads the following formats: ePub and PDF. Most of the C.O.D. Library's e-book collections are available in PDF format. You can use your home computer to download PDF materials from the Library's website and transfer them to your Kobo via USB. You can use our Overdrive collection with your Kobo device. Many public libraries also have e-books available for download to your Kobo. Please contact your public library for more information. For more help with your Kobo, go to the Kobo Support Page. Google's Chromebook only supports web applications and is NOT compatible with Adobe Digital Editions software. This means you will not be able to read books off-line that require Adobe Digital Editions or be able to transfer files from your Chromebook to another e-reader device. You CAN read books that are in .pdf format using your Chrome browser. To find e-books that are downloadable to your Chromebook to read off-line, check out the Google Play Books store and app.